ACTS law hour - Episode 1 - ACTS Law Firm in California | Abir Cohen Treyzon Salo, LLP. Debbie: Good afternoon, Los Angeles. You’re listening to TalkRadio 790 KABC. Welcome to the ACTS Law Hour, every Saturday at noon right here. We’re providing you with solid information from our good friends at Abir Cohen Treyzon and Salo, the ACTS Law Firm. That’s A-C-T-S Law, actslaw.com. We’re taking your calls today at 800-222-5222, that’s 800-222 KABC. If you have questions about property claims, civil rights, if you’ve been injured, or in a difficult situation and you don’t know where to turn, call us now and get a second opinion, 800-222-5222. Knowledge is power and power is knowledge. Let us empower you today. To get on the air with the lawyers from ACTS Law Firm and ask your legal questions, call us now 800-222-5222. Now here’s your host and managing partner of the ACTS Law Firm Danny Abir. Welcome Danny. Danny: Good afternoon, Debbie. How are you? Debbie: Oh I’m great. I’m so glad you guys are ready to do this. This is something that we really need to bring to our listeners, a show that deals with property claims, personal injury claims, civil rights, things that people need to know about and you’re here to educate us. What do you got to say? Danny: It’s a pleasure being here. Thank you for the invitation and thank you for that beautiful intro. I’m here with my business partner and old friend, not that old. It’s been many many years that we’ve known each other. Debbie : He looks pretty spry. Alex: Stop giving my age idea, you’re aging me. Danny: Wait, does that mean that you’re telling me that old? I don’t get it. Alex Cohen and I have been friends for over 25 years now. Debbie: Our audience want to learn things, they really do. They’re homeowners and they’re people that are interested in how to have a better life. I’m excited about the things we’re going to talk about today. Danny: I think generally speaking it’s going to be very important to educate people. One of the things that we love about the show, one of the reasons we wanted to have this show is by educating. Like you said power is knowledge and knowledge is power. People will know their rights and by knowing their rights they’re able to basically avoid situations where they don’t want to be in. If they know what their rights are they’re not going to have their rights stepped on by companies or somebody else, basically. Alex: It’s all about knowledge. If you think about it, this is why you when I went to law school. We wanted to gain the knowledge of the experience and be able to pass it on to our clients, protect their interest, cover their needs find out what’s going on on their cases and help them. Debbie: You’re counselors of law but you’re also counselors of people and you really care and you really want to deal with people where they’re at and what they’re going through and you care about their emotional health as well. I really applaud that and I think that’s something that our listeners should take note of that this is a wonderful resource for them. If you’re listening and you do want to get in touch with them, you can go to actslaw.com. Danny: Well, one of the things about our firm that I think is very important for people to know is that generally speaking, plaintiffs practices are focused on a specific area of law. Meaning, if you look at the plaintiff’s practice and plaintiff practice is one where you represent the claimant against somebody else. It’s generally the practice of David versus Goliath because we’re usually going up against insurance companies more or less. Whether it’s the area of property insurance or whether it’s civil rights, no matter what there’s always an insurance company, most of the time, on the other side of the spectrum. When we’re looking at David versus Goliath, when we’re looking at a plaintiff’s practice, most plaintiff practices have one area that they focus on is usually personal injury. Now there could be different areas of personal injury. It could be car accidents, it could be slipping falls, it could be product liability. However, it’s usually personal injury or employment. Our practice and one of the reasons I think I love our firm is that we have 17 with different areas of specialty. We have 17 lawyers where we have a full service plaintiff practice with areas that a lot of other practices don’t have. Example, let’s go with one area where which I know is an area that’s near and dear to Alex’s heart, which is property insurance claims and bad faith. Let’s talk about a little bit about where the bad faith is and what basically the practice of property claims and adjusting property claims is going to be. Debbie: Before you do Alex, I just wanted to say that this is a unique type of practice. This is why I saw that your firm would be a perfect candidate for us here on Talk Radio 790 KABC. Our homeowners that are listening and people that have property claims be it fire, wind, damage to your structure with water, whatever it is, you don’t think twice about calling your insurance company and letting them deal with it. Most of the time we as homeowners settle for what they offer and don’t think we have recourse, but Alex I think you’re here to tell us that maybe that’s not correct. Alex: Well, if you are a property owner whether it be a residential or commercial property owner, business owner, condo owner anything that the banks require you to insure essentially you have to buy a property damage insurance on the property. Alex: Well, the irony is that most people believe that when they’re buying a property they immediately go and search for liability insurance. When you have a mortgage on your property, the banks will require you to insure that property because that is the protection that they’re going to get in the event that there is a catastrophic loss to your property. Debbie: Sure, it’s understandable why the bank would require that. Alex: If you don’t have insurance, what happens is the banks place a force-placed insurance on your property and you’re going to have to pay for it anyway. It’s very expensive. It’s probably triple the price. If that ever happens to you, you should seek your own insurance instead of the bank’s insurance because banks insurance doesn’t cover your personal property. Debbie: That’s a good tip right there. I hope everybody is listening. I hope you’re hearing this from Alex. Alex: Absolutely, because we do have a lot of clients that suddenly come to us and they have some form of catastrophic injury whether like you said fire damage, water damage, vandalism. It’s happened so often that you’d be surprised, cars running into properties, mudslides, earthquakes you name it. Debbie: Sure. Especially in Los Angeles here, I think there is a lot of vandalism. I drive through different neighborhoods and I see businesses that have been destroyed by vandalism. I think how terrible for this business owner, but they do have recourse and they do have insurance. The question is what is the fair and reasonable settlement? How do you determine that as a homeowner? Alex: Well, all these kind of claims are expert driven. It is not something that I recommend policyholders to represent themselves. They will need a professional to represent them in the event of a catastrophe against their own insurance company. When I say against their own insurance company, don’t forget like I said, the property is covered by insurance and there’s different coverages that you have under your insurance policy. If you’re in a residential you’ll have dwelling damages, you’ll have protection for detached structures, you’ll have protection for your content damage, and also you’ll have protection in the event the property becomes uninhabitable. There’s that key word “uninhabitable” There’s so many different definitions to this, but all of this is dictated in a contract that you purchase from an insurance company, that you pay monthly premiums or annual premiums to and in exchange you obtain a policy. That policy is the contract. Everything that is dictated is dictated within the terms of the four corners of that policy. Debbie: Okay. I know that you help homeowners with their claims. Danny why don’t you give us an example of something that you’ve dealt with one of your clients. What type of damage comes through your door most of the time? Danny: I think one of the most common examples would be water damage particularly in the kitchen where you have a dishwasher that possibly the pipe breaks and basically floods their kitchen. The biggest issue with water damage is that, how the clients feel about their insurance company. This is something that we deal with very regularly. clients do is they tend to think that because it’s their own insurance company they’re not dealing with a third party. It’s a first party claim, but they think about their own insurance company. Because of that, when the insurance company denies the claim, a lot of times people think, “Okay, if my insurance company is not willing to pay for it then it’s not something that’s covered.” Or if they’re saying it’s denied, “It’s okay that it’s denied.” That I think is the biggest issue. Alex: Well, think about it water damage claims like Danny said right now. If you think about the plumbing within your house, it goes everywhere from your kitchen, to your bathroom, to your HVAC, to your sewer system, to your drainage system, to your washing machine, to your dishwasher, sinks, bathtubs, showers. If you can just imagine what I’m saying think about how many plumbing components are there in the house that’s why water damage is one of the most common types of damages that occur to a property. Debbie: Right, and it can affect the whole entire house. Alex: It can affect the whole entire house. People don’t generally know the extent of the damages that occurs to a property. Boy, we’ve had claims that start out with the insurance company paying very minimal on a case and then we get involved and we do the proper investigation and we bring our own experts and then we see really the damages are exponentially higher than what they said. Debbie: There’s just so many questions. I want to know things like, what are the biggest mistakes people make when initially contacting their insurance company? What should we avoid saying when we make that call to report damage? Who do we call first? Do we call you? There’s a lot of things I want to know and we’ll go to it later in the show. Right now you’re listening to the ACTS Law Hour on Talk Radio 790 KABC, taking your calls 800-222-5222. We are here with the attorneys from Abir Cohen Treyzon and Salo. We’ll be right back. Danny: Call ACTS Law, that’s actslaw.com. Debbie: That’s pretty good, that sounds pretty good. I’m a homeowner, I come home, a pipe burst, my home is flooded, and all the rooms, as Alex noted in the last segment, all the rooms seem to have damage. Do I call lawyers or do I call my insurance company? Alex: They have outside counsel’s, in-house counsel’s that are always chiming in with directions, with recommendations, so you are at odds with your insurance company. It is not a level playing field. The reason why you need an attorney on these kind of claims is because, like I said in the first segment of the show, these cases are expert driven. A, you have to know your rights under the policy, that’s critical. Most people including attorneys and judges, they don’t even read their insurance policies. They don’t know what it contains. They don’t know what their rights are. You need somebody that understands how to do policy interpretation, and understands case law, understands insurance regulations and insurance codes, understands how construction matters in these types of cases, knowing what experts to bring in and when. These are critical components in order to handle just a claim. Debbie: Right, I’ve never even attempted to read my policy. I’m sure that it would be a little confusing if I did. Debbie: Frankly, it’s a little dry. When my house is not dry, I know I’m going to hope that I understand that policy and if I don’t– The point that you make to your point of “the insurance companies are lawyered up”, yes, that is true and it is not a fair playing field if I’m not. Debbie: I really like that position. I think everybody listening should understand that too. Alex: Absolutely. Then, within your policy there are terms that you as a policyholder must abide by. There are obligations of the insured and then there’s obligations of the insurer. What are some of your obligations? You asked that question earlier, what am I supposed to do? Alex: Do I contact my insurance company? Do I contact a lawyer? It’s best to contact a lawyer because the lawyer can guide you and tell you what your rights are. We can examine your property, take a look at it, see what the damages are first and foremost. Is it covered, is it not covered under your insurance policy? Is it something that’s excluded under your insurance policy? Is it something that has a limitation under your–? There is so much to grasp. When you’re facing this type of catastrophe, you’re not going to go looking at your policy and looking through the pages to see if that’s something is covered or not covered. But you do have an obligation to reasonably and promptly report the claim to your insurance carrier. Debbie: Okay, that’s a good point. Alex: It is. You have a duty to mitigate your damages, which means, if you have a water loss, you mentioned the water loss, you come home and the pipe is running, are you going to just stand there and look at the pipe running or are you going to try to shut off the valve? Debbie: I might just go take a hotel. Alex: Well, you would be entitled to that. If it’s a covered loss you would be entitled to relocation and location expenses, but mitigation of damages are critical. Danny: One of the things that we’re talking about is water damage, but there’s another area that’s also a big issue for homeowners and property owners and that’s fire damage. With all the fires that we had last week both in Southern California and Northern California, one of the things that I’m sure it would be important for listeners to know is their rights in circumstances where there’s fire, fire damage, and also smoke damage which is something that a lot of people don’t realize is something that is incredibly damaging to your property and your furniture and everything else that you have there. Alex: They say where there’s smoke, there’s a fire. Debbie: Yes, they do say that. Alex: Like Danny said, fire consumes structures all the time. What do you have to do to put it out? You have to use either chemicals or water or whatever the fire department uses to retard the flames. Debbie: I can’t imagine the damage even after that. That would be horrible. Alex: It is absolutely horrible. I feel horrible for all the people that are experiencing this and have been relocated and are finding a way to get back to normalcy. It often takes a very long time. These type of catastrophes happen all the time and it’s very difficult to deal with. People have either lost their lives, or their property, their pets, their homes, anything that’s near and dear to them. It’s difficult to deal with it. You do need some professionals to help you in this particular instances. Debbie: If you’ve just tuned in you’re listening to the ACTS Law Hour. We’re right here on talk radio 790 KABC. We’re talking to the attorneys from the firm actslaw.com and Danny Abir is the managing partner. Danny, I think you wanted to talk a little more about the fire. What is it that people need to do first? Danny: Actually, what I was going to talk about is we’ve talked about water and fire and, like Alex said, how do you put out the fire with water. One thing that’s very common is when there is a brush-fire and then there’s flood afterwards when there is rain season. Look at where we are right now. We are in October and hopefully we’re going to have rain and we’re going to have rain season coming and with all these brush-fires, look at Malibu whenever there is a brush-fire what follows afterwards? Mudslides and floods. One of the things that a lot of people don’t realize is that they think that they need to have flood insurance in order to be able to be covered when there is a flood, but not always. Sometimes, if the cause of the flood is fire damage, brush-fire, you could have coverage for that flood damage because of the fact that the origins of that flood is actually fire damage. Debbie: That’s such good information. I don’t think the average person knows that and I certainly didn’t know that either. Debbie: Do they read their homeowners policy? Probably not. Alex: No, the point that Danny was making is we have a lot of professional clients from dentists, doctors, lawyers, accountants. Debbie: They’re busy guys and they need help more than anybody. Alex: For sure because they are operating a business and they need somebody else to step in on their behalf and advocate and that’s what we do. We’re policyholder advocates. Like Danny was saying, this was one of the wettest seasons that we’ve had. We had a lot of rain, caused a lot of vegetation to grow, and now the fires are coming. It’s consuming the dried vegetation leaving the lands unstable. What happens is when you have a subsequent rainstorm, like Danny said, the vegetation and the ground because of the fire is now loose. What happens is during the rainy season it causes the land to basically become mud and we’ve had a lot of claims for mudflows. Insurance companies are going to consider this flood mudslides and floods which requires a different type of insurance to cover it. If you want to be safe you should have flood insurance for that because flood insurance covers those type of events like surface water intrusion or mudslides. It does cover that, whereas your regular homeowner’s insurance will not cover. Like Danny said, there are equitable arguments on both sides us to what was the efficient proximate cause of that mudslide. Was it the fire? Was it the mud? Was it rain? These become battles. These are legal battles that have to be dealt with appropriately when dealing with your insurance company. Danny: One of the reasons for this show is like we said knowledge is power and power is knowledge and we want to educate our listeners as to their rights. Because we have many different areas of practice in the firm, what we’re going to do is every week we’re going to try to cover a different topic. Debbie: A different area of law. Danny: In addition to property damage and insurance claims and bad faith one of the areas that we cover is construction defect. For example, next week we’re going to be talk about construction defect. My partner Terry Bailey will be here and we’ll be talking about construction defect and how homeowners and property owners can basically have– what rights they have and who they can go to when there is an event that has to do with construction defect which again goes hand in hand with insurance and property insurance. The next area that’s also an area of practice for us is catastrophic personal injury, wrongful death includes product liability. If you look at what’s going on in the country right now with different things and the current events, one of the events that is in everybody’s mind right now, we get a lot of questions on and this is a conversation that I have with friends and family actually, is the Las Vegas shooting. In that situation, in that horrific horrible situation is there anybody other than the shooter that’s liable. That’s a discussion that we’re going to have in the next segment which goes with basically personal injury, wrongful death, and who is liable, or who can potentially be liable other than the shooter. That’s basically what we’re going to be talking about in the next segment. Debbie: Well, there’s no show that addresses property damage quite as in detail as we’re going down that road. I think it’s really important. It’s important for KABC, it’s important for our listeners to have you as a resource. One little question before we go to break. I’m just wondering is it appropriate to have you look over an insurance policy before the homeowner engages. Before you answer, let’s think about it and we’ll talk about it when we come back. You’re listening to the ACTS Law Hour right here on TalkRadio 790 KABC. Welcome back. You’re listening to the ACTS Law Hour right here on TalkRadio 790 KABC. We’re talking to our friends, the attorneys at Abir Cohen Treyzon and Salo. They’re here today telling us and giving us their expert opinions on different types of law. If you have a question about property claim, civil rights, if you’ve been injured, or in a difficult situation and don’t know where to turn, call us to get a second opinion 800-222-5222 or go to actslaw.com. Coming back into our question that I posed about homeowners and selecting the right policy to cover yourself as a homeowner, what should people do when they’re looking at those provisions initially before the damage? Alex: The main thing to do is you need to consult with your insurance agent or insurance broker. They are the people who are the guardians of the policy and who will get you into the right policy. Debbie: They have a fiduciary duty to advise you above the board. Alex: Of course, it’s in not only in their best interest, it’s in your best interest. You want to make sure your property is adequately insured, adequately covered. There’s many times that we get commercial claims where, for example, a car runs into a business and the property is owned by the same person that is running the business. Meaning the property owner and the business owner are one and the same. Alex: Then the policies come for a review. They send it to us for review and I’m like, “Well, where’s your business insurance?” They only have one insurance. Insurance brokers and agents have to know the details of your business. You need to share with them openly, authentically and tell them exactly what you’re doing so they know who the property is, who’s the tenant, who’s the landlord. People get these things confused. If you are the property owner and also the tenant, there’s a landlord-tenant relationship there. You have to adequately set that up and no one knows that better than Danny on how to set that up. Danny: Which requires a lease, an actual lease. If you actually own– A lot of people miss that, the fact that if you own the property and you also are the tenant, a lot of people think, “Well, I’m the owner why do I need to lease?” There are many different reasons why you would need to have a lease basically in that situation and insurance is one of them. Alex: Absolutely, and think about it, a lot of my clients they have properties that are paid off and banks are not involved and they don’t insure it. Debbie: That’s such good information and really knowledge is power if you’re listening out there today you really need to take note of some these points. This is going to save you a lot of a lot of heartache. Debbie: There is never a short answer on TalkRadio. Alex: No, not on these topics, really. But you do need to consult with your insurance agents and brokers and make sure you provide them the necessary information, the detail of your business and allow them the opportunity to adequately insure their property. Debbie: Well, speaking of heartache, we’ve had a lot of heartache this week. Any damage is heartache, of course, to our property but to our loved ones, that heartache is unspeakable. I was curious about liability for the shootings that happened in Las Vegas. What do we do about that thing? How do we look at that how do we frame that? Who else could potentially be liable? This is something that we can look at and that’s what lawyers do. Let’s look at Mandalay Bay Hotel. I don’t know if you heard Alex or not, but last week, there was an interview. I think People Magazine, if I’m not mistaken, where somebody interviewed Steve Wynn. Alex: I read that interview. Danny: He talked about how he took measures from years earlier, two years earlier about terrorist threats and the potential of a terrorist activity. He basically had secured extra security. One of the things he discussed for example, is that, if a person is in the room and have a “do not disturb” on their door for more than 12 hours, they investigate it. This person, the shooter in Las Vegas, was in his room for four days with a “do not disturb” sign. Let’s take that as one issue. Another issue, our homes, if a glass breaks in our home. Nowadays there’s technology that you can get on your phone, you can get on your email. Well, “glass in the window in your TV room just broke” and you get that immediately the second it happens. Alex: If you have an alarm sound. Danny: If you have an alarm system, exactly. Steve Wynn noted about the fact that they put alarms or sensors under windows. If these windows had sensors, how much time would that have saved and what that would translate into saved lives. Alex: Right, or couldn’t have saved. Danny: Again, what we’re talking about is not opinions, these are just potentially who could be liable. Going to Debbie’s question is, who could potentially have liability and why would anybody say Mandalay Bay could potentially have liability or somebody else could have liability? Alex: Upwards of 20 for sure. Danny: Upwards of 20, right? He took it upstairs with him. They said over 10 suitcases. 10 suitcases is a lot of suitcases to get to a room and then put a “do not disturb” sign. All of that could translate into one potential rival. Debbie: Would they look at the employees for not being astute enough to notice that all these bags were going up the elevators, would that be a cause? Alex: Or their security department who was watching, who was on guard. Did they have adequate training? There’s so many unanswered questions right now. Debbie: There really is, even about the shooter himself. Speaking of him, he’s deceased. What can we do about that? Danny: One of the things is that he has assets. They were saying that he would gamble over $100,000 every time he would go into a casino. Last Friday, a group that has actually filed a complaint already, has gone through the judgment asked to freeze the shooter’s assets. If he has assets that’s obviously something that the victims can actually go to. People lost their fathers, people lost their mothers, people lost their providers in this event and that’s the reason they would be looking for compensation. Alex: Unfortunately, no amount of money is going to be adequate to bring back loved ones. I’m truly sorry for everything that has occurred in Las Vegas. I just want our audience to know that. I don’t want you guys to think here we are sounding off on liability and stuff, but it is a reality. Like Danny said, people have lost providers and they might be looking for compensation and they might be looking for liability or just justice. Debbie: Does your firm handle any of that if anybody had a claim? Danny: We do have basically catastrophic personal injury and wrongful death department and that is one of the things that we do. We have looked at different scenarios and different defendants in this situation. One other party that you could look at is the concert promoter. Was the venue safe considering–? For example, there are situations where we had in England when there was that bombing in Ariana Grande Concert. One of the things you look at is did they sell too many tickets? Were there too many people there? Under the circumstances, was it not okay for a six-year-old to be there? These are all different factors that you look at when you’re looking at liability. Like Alex said, this is not about saying, this person is liable or that person is liable. It’s just, what goes through the mind of someone who’s trying to see where their liabilities could potentially be? Again, the gun manufacturer, the gun seller. The guy bought 70 something or I don’t know how many was assault rifles that he had. He bought 30 something in one month. Could their possibility be liability on somebody else? Again, these are the factors that you look at. Alex: You have to just trace it back look at all potential possibilities as to liable parties and go peel the layer back and see who’s responsible. Debbie: Right. That takes a lot to put together, to analyze the whole situation, to make that list, to figure it out. It takes a lot of higher thinking to kind of strategize how to make the victims whole again or their victims’ families. My hats are off to you if you’re attempting to do that with some of these claims. It’s mind-boggling. It’s too much. Danny: The other thing we also talked about is we said in the catastrophic personal injury and wrongful death area. One of the areas we cover is product liability. There’s always the question of what’s an example of product liability? I don’t know if you own a NutriBullet, Debbie, or if there are people out there who own NutriBullets. NutriBullet is not only a product that can change your life for the better, but I’m going to give you examples of how it could potentially harm you. You’ll want to be listening for that in the next segment. Debbie: Stay tuned. You’re listening to the ACTS Law Hour on talk radio 790 KABC. Coming right up, we’re going to talk about a specific product that’s had a little trouble, the NutriBullet. Stay with us, we’ll be right back. Debbie: Have a question about property claims, civil rights, have you been injured or in a difficult situation, don’t know where to turn? Call us to get a second opinion. 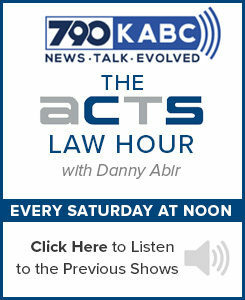 We’re the ACTS Law Hour right here on 790 talk radio KABC. Knowledge is power, power is knowledge. Let us empower you today 800-222-5222 that’s 800-222 KABC. To get on the air with the lawyers from the ACTS Law Firm ask your legal questions, call us now, we’re live 800-222-5222. We’re coming back in and we left the last segment talking about product liability. We want to go there for a few minutes and talk about one specific case that you’re working on. Danny, why don’t you tell us a little bit about that? Danny: Do you know what a NutriBullet is? Danny: Do you own one? Debbie: I don’t, but the way you say that makes me nervous. I’m probably not going to buy one. Danny: I’m looking at our engineer Wayman and he’s raising his hand. Do you own one? Wayman: I actually bought one for my mother. She wants to start drinking smoothies and doing stuff in the morning to improve her health. Danny: The idea is that NutriBullet is going to help you improve your health. A lot of people who actually use NutriBullet and has owned NutriBullets do it for that reason. I believe that you own the Magic Bullet, right Alex? Alex: I own the Magic Bullet. Similar to our dear engineer, we used it for making smoothies. That’s the only thing I used it for. Danny: Let me tell you a little bit about what the predicament is with NutriBullets and what the issue is that have come up. About a year ago we had a call from someone who was making lunch for her husband using the NutriBullet. She was trying to turn it off. If you’ve owned a NutriBullet or have seen one, there’s no on-and-off switch on this blender. It’s a blender, basically. People use it for a juicer. There’s three components: there’s a base, there is a cup, and then there is the blade section that goes into the cup and then it goes into the base. People use it to blend very fast and that’s the way it’s supposed to be. She was making food for her husband in the morning. She goes to the pantry, comes back, and she tries to turn it off. The way you turn off the NutriBullet is you put your hand right on top of the cup while it’s blending and you push it down and you twist it. That’s how it turns off and that’s how it turns on, by the way. There’s no on/off button. While she was doing this, she comes to turn it off and the NutriBullet exploded, the cup exploded. The blade continues spinning and her hand which is– remember it’s an up-down motion, up to down motion, trying to turn it off go straight into the blade causing lacerations to her small finger nerves. Danny: She’s a young woman and she’s basically going to lose the use of her small finger and that side of her hand for the rest of her life. She has incredible pain. She’s had four surgeries, already. This is not something that you would expect from a blender because what you’re thinking is that even if that’s going to explode if the mechanism should be in a way that if the cup goes away from the blade the blades would stop spinning. Alex: That’s what I assume. Danny: Yes, but that’s not what happens. This is only one type of injury that we saw with that. What happened was that case got a lot of publicity, TMZ actually, funny enough, covered it and took pictures and put it online. A lot of people started responding to that because they had incidents similar to that. We currently have 22 cases of different types of injuries. The injuries are one of two either they’re lacerations where the blade has actually cut into the person’s hand or there are second and third degree burns. The second and third-degree burns happen in this way, you’re blending something in the cup– and again there is no on-and-off button and there’s also nothing there to take off the pressure. The pressure that builds up makes the cup explode or the NutriBullet explode. Alex: Causes the base to separate from the cup. Danny: Exactly. Again, what happens is what’s inside warms up; warms up so much that on contact with skin it creates second and third degree burns. If I show you the pictures, Debbie, you will not believe the injuries that have been caused as a result of this. Debbie: I’m curious, is it still on the shelves? Danny: It is still on the shelves. Debbie: How can that be? If you think about it, one of the issues with burning liquid when it comes up, if you’re standing in front of the machine and it explodes and you get it on top of you, because you’re wearing clothes, it actually is worse. The clothing will hold that hot liquid and keep it stuck to your body and that’s going to create even more burning and more injury. Alex: It’s devastating. I’ve met the clients. I’ve seen their photos and the aftermath, it’s horrific. Alex: This is not isolated incidents. Debbie: What are we going to do about this? Danny: We have a trial coming up on one of the cases, the one that I said from last year in January. The main thing that I’m bringing it up is if you own one, you have to be incredibly careful. You have to read the instructions in a manual. I don’t know how many people actually read manuals. Do you ever read manuals when you get stuff like that. Debbie: No, I pull it out, I plug it in, and I hope it all turns out okay. Danny: This is funny because a lot of people are like that. Wayman, do you read manuals when you buy products? Wayman: No, I watched the 30-minute infomercial. Wayman: I saw it, so I knew how to work it. I didn’t have to read them. Danny: Isn’t that interesting because the infomercial actually has hot soups. If you look at it, it shows you how to make hot soups, isn’t? Danny: You put hot soup in there, imagine something hot. We have clients that were actually making hoarding smoothies, cold oatmeals and it actually heats up to the point that when it exploded it burned people. Again, going on the topic of power is knowledge and knowledge is power and wanting to keep that, what we’re doing is– I want you guys to be aware that if you do have this product, be careful in using it. It doesn’t happen to everybody, it doesn’t happen every time. It’s something that you should be aware of and you should be careful of, careful with how long you blend, careful with what you’re blending, careful with the machine. Read the instructions because in this case, particularly, it’s very important to do that. Not everybody does that. One of the clients actually had her child in her arms because she was making her child pancakes. This pancake mix exploded and it got on the mother. Luckily, she did not drop her child. Can you imagine the consequences of something like that? Debbie: -and mothers just don’t drop their children, no matter if they’re being burned. It’s the way we are, right? Danny: That’s the beauty of motherhood. Alex: You guys are wired so special. Debbie: We are mama lions. Danny: That’s one of the things I wanted to talk about, product liability. The other thing I wanted to say is we were covering the areas of practice that the firm has and we said that every week we’re going to be talking about something different. One of the areas that we’re going to be talking about in the coming weeks is going to be civil rights which is an area of practice for us. My partner Fred Sayre was Rodney King’s attorney against LAPD. 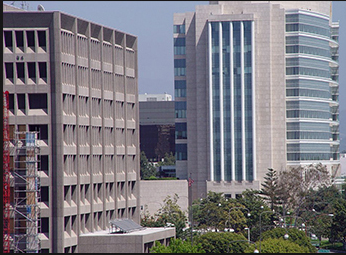 This past year we had the case of [unintelligible 00:43:52] versus LAPD which settled earlier in the year. Debbie: Is he part of your team of attorney? Danny: Fred Sayre is one of the partners. Debbie: Okay, wonderful to know that. Danny: I’m going bring in Fred Sayre as one of our guests on one of our shows. Debbie: Can’t wait to hear from him. Danny: Yes, you’re going to love, you’re going to have war stories about civil rights cases. Alex: He’s a wealth of information. Danny: Yes, he was friends with Chaves. Debbie: Well you were too Alex. Debbie: And do a few push-ups too in between in the breaks. Danny: Fred is very interesting. He was friends with Cesar Chavez. He’s been around for a long time. Debbie: That’s such great experience to add to your clan and to have that as the attorney backbone. Danny: -Michelle Shirley, exactly, on Halloween. Actually, it was on Halloween day. She was a woman who was bipolar and hadn’t had any incident in over 10 years. She had an accident, the car accident and she continued driving. Debbie: And it triggered her. Danny: It triggered the events in her head. Police officers followed her, basically, blocked her in and once she was blocked in, she starts moving again with her car and they fired into the car 37 rounds, if I’m not mistaken. Debbie: 37 rounds for one little woman? Danny: No, she had just finished law school. Alex: She did, you’re right. Danny: She had absolutely nothing in her past. We’re going to be talking about that. She had no weapon. Again, incredible family, if you meet her family. That’s something that we’re going to be talking about with regards to that. Alex: And also business litigation cases. Debbie: When do you have time to do all of this stuff? This is wonderful, but boy, are you guys tired? Alex: Like Danny said, we have 17 attorneys at the firm. Each of them have different expertise then we are able to have them. Debbie: What’s fortunate about that is if someone comes to you with their case, say a product liability, but yet they may have a NutriBullet. They don’t have to go to another law firm. Debbie: It’s like a ones stop shop, right? Danny: That’s the beauty of having a full service plaintiff’s practice because you don’t really get that anywhere else. I want to say thank you for having us here. I look forward to having this program going forward every week and I promise that every week there’s going to be something interesting that you’re going to hear about. Debbie: Thank you for providing such great and helpful information for our listeners. If you want to get in touch with the ACTS Law Firm, go to actslaw.com and take a look at their firm bio, their attorneys there, their areas of practice and how you can get in touch with them. Of course come back every Saturday at noon right here on Talk radio 790 KABC and listen to our show. You’re going to hear things that you didn’t know and we’re going to educate and we’re going to help you live a better life.